The next installment in the 100 MOST series explores the most awesome things on Earth! 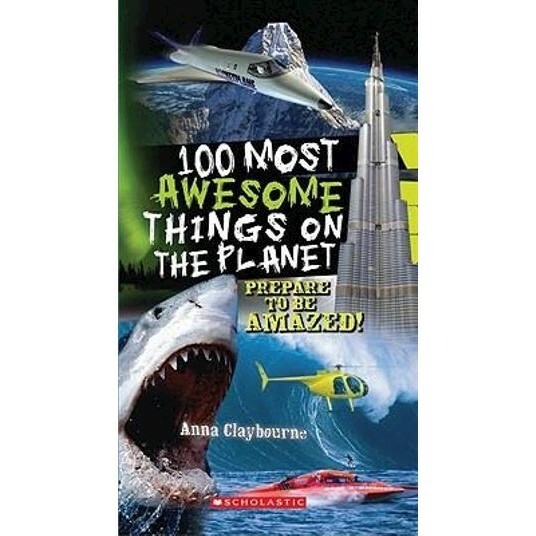 As a follow up to the 100 Most Dangerous Things on the Planet (10/08) and the 100 Most Disgusting Things on the Planet (1/10), the 100 Most Awesome Things on the Planet highlights the Grand Canyon, Great Wall of China, Angel Falls, Amazon River, Aurora Borealis, biggest supertanker, longest bridge, smartest robot, fastest rocket, and more. Each spread includes a rating from 1 to 5 indicating how "awesome" the item is, along with amazing facts, quirky side panels, and lots of full-color photos.